Jean Paul Gaultier Exhibition In The Barbican Art Gallery! 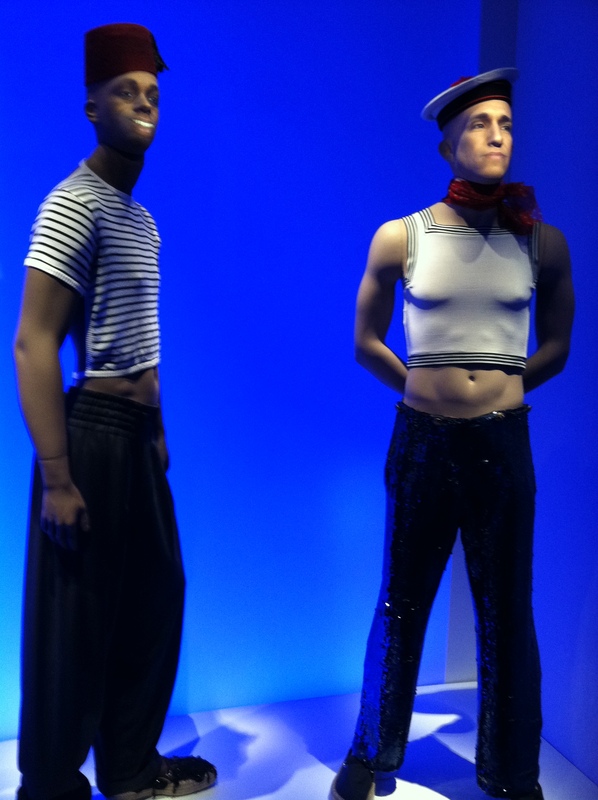 Jean Paul Gaultier’s work is been celebrated! Madonna and the designer with his famous creation! The designer’s famous sailor look on display! Art and fashion! Two worlds where inspiration and visual beauty abound! And The Barbican Art Gallery has joined the two together in a wonderful exhibition to pay tribute to fashion designer Jean Paul Gaultier. Entitled, The Fashion World of Jean Paul Gaultier: From The Sidewalk To The Catwalk it is the first major exhibition dedicated to his vision to his talents and vision. Gaultier has been a major player in the fashion industry for nearly 40 years and in that time the genius has been both amusing and risk-taking in his choices. He has admitted that he is fascinated by world cultures and counter cultures and through this his output has managed to get rid of boundaries between nations and genders. It’s an exhibition which is theatrical and displays over 140 cutting edge clothes which included iconic pieces for film and performing such as the conical bra and corsets worn by the very eccentricly fabulous Madonna, stage outfits worn by Kylie Minogue and Dita Von Teese and pieces made for Luc Besson’s movie The Fifth Element as well as his signature sailor suits (Who doesn’t like a man in uniform?!). If you get the chance, go see it! Jean Paul Gaultier is one of my fave designers and I am definitely going to try to get there myself. Josh Cuthbert Holidays In France! 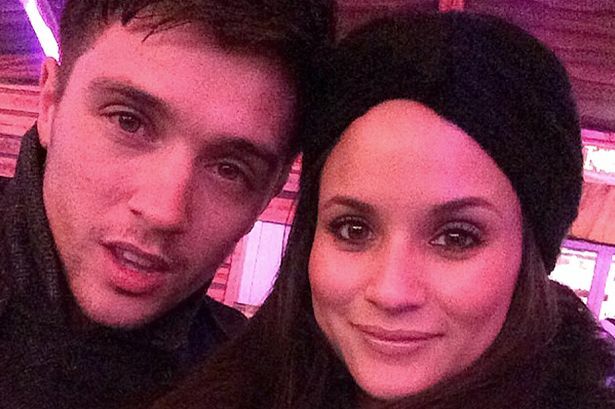 Josh Cuthbert holidayed in France recently! I recently blogged about Josh Cuthbert’s fellow bandmates’ holidays after the band took a break after the tour. (All must have been dying for Dublin’s concert to be over! Only joking! :-)) and today it is the turn of Mr. Cuthbert who I think was in France. Ironic considering my class on my Further Education course were in Paris at the same time. I wasn’t there. Too poor. 🙂 Maybe it’s a good thing really considering if we had been near where he was a little stalkerish piece of my heart might have been unleashed and someone without skis would have been nosing around the ski ramps. Trade Show? (we were going to a trade show) What? Sorry I must have missed it. I was looking at certain other features of life in France! 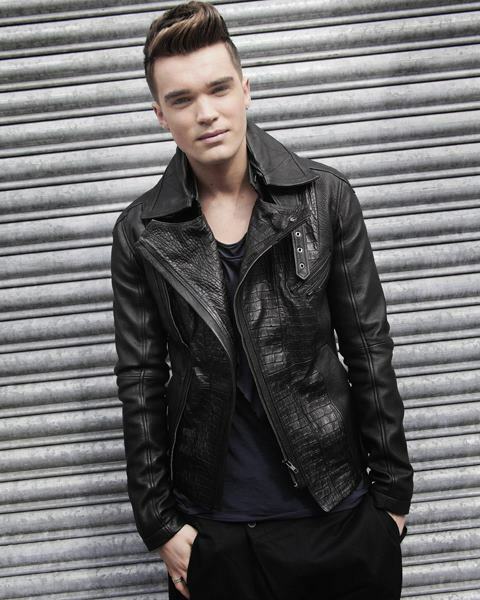 It’s Josh Cuthbert, don’t judge. I’ve seen these four lads in the flesh twice remember. Even better-looking in the flesh than on the TV! My New Crush Marlon Teixeira Stars With Luma Grothe For DSQUARED2! 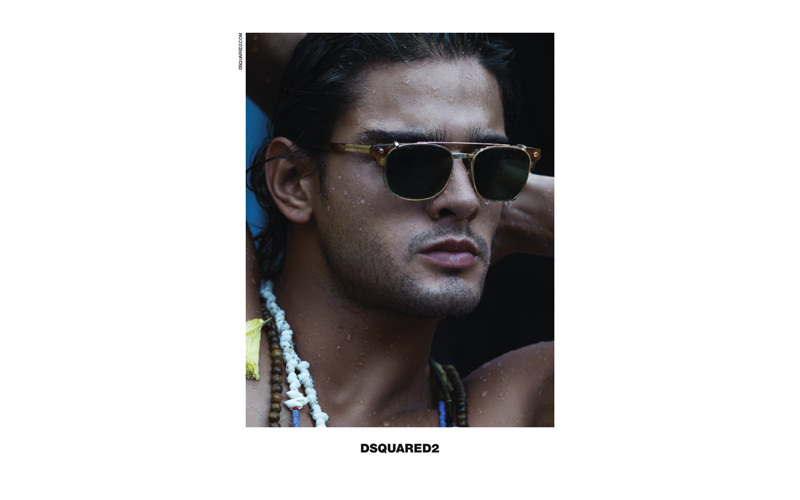 Marlon Teixeira is roasting hot in the new DSQUARED campaign! Sexily looking to one side is no obstacle! Relaxing he even looks fit! A close-up shot. Sure why not?! Working a pair of shades! Though the heels are stunning, they would probably ensure a visit for me to the A & E but the best of the outfit, love it! I can’t even, I am unable to even … Yes I suppose I am having a Tyler Oakley moment! But cut me some slack I have just discovered Marlon Texeira! If I’m honest and I shouldn’t really say this as a fashion student what first drew me to the new Spring Summer 2014 collection by the amazing DQUARED2 was the incredibly attractive male model Texeira. But the clothes are pretty fab too! It is a rainforest-themed photo shoot which is shot by Mert and Marcus who are two of my favourite photographers. They produce quirky and risque shoots and never play it safe and I like that. Texeira starred with female model Luma Grothe in the shoot. Can’t I go back in time and just be her for that day?! Please. Pretty please. Of course I looked him up after seeing the shoot (I know that sounds all wrong but you know what I mean! :-)) on Google. Here is a brief synopsis of who he is but make sure to look him up (On Google I mean. What did you all think I meant? :-)), you won’t regret it. He was born on the 16th of September 1991 (Oh I know it’s only a year but why am I older than everyone lately? I used to be younger than everyone! Sniff! :-() and he is Brazilian (Always loved Brazilian men! Oh yes! :-)) but is of Portuguese, Japanese and Amerindian descent (Even better!) and is from Santa Catarina. As well as DSQUARED he has walked for many top fashion labels including Dolce & Gabban, Dior Homme and Emporio Armani. He also walked for Chanel when he appeared on Karl Lagerfeld’s runway at Paris Fashion Week Spring/Summer 2014 as the only man with 89 women. He is a skater and also likes surfing, learning new things, traveling, going to the beach, watching movies and drinking kiwi juice in his spare time. Trailer For The Zero Theorem Has Been Released! 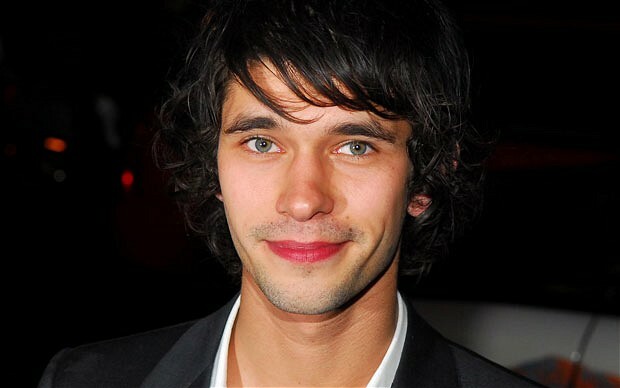 Ben Whishaw is set to star in The Zero Theorem! Ben Whishaw is set to be on our screens again! Yay! The trailer for Terry Gilliam’s new film entitled, The Zero Theorem has been released. It is set in a futuristic dystopia and stars Whishaw alongside David Thewlis, Tilda Swinton, Matt Damon, Christoph Waltz and Mélanie Thierry. Waltz, who previously starred in the film version of Hairspray, takes on the role of a computer expert who has a crush on Mélanie Thierry. There’s a great cast and Terry Gilliam is fabulous and the trailer looks good so I’d say it’d be good and I’m looking forward to seeing it. Happy 32nd Birthday Mr. Adam Lambert! Happy 32nd birthday to Adam Lambert whose birthday just ended! I am a major fan of his and I find him incredibly inspirational and he has been a huge inspiration to me to be more myself. He has also been a huge inspiration to me in a music sense too. Jaymi Hensley Reveals That Union J Will Work With Jason DeRulo Again! 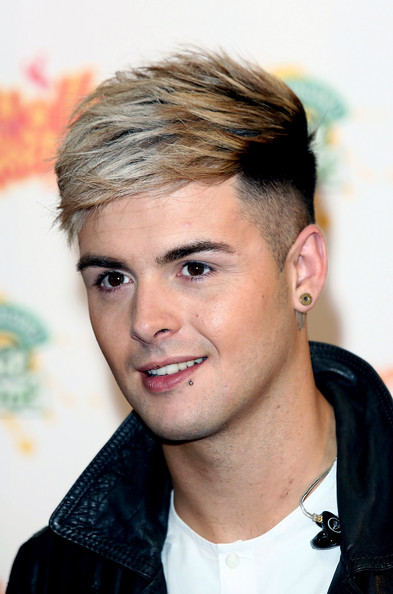 Jaymi Hensley has revealed that he and his Union J bandmates will work with Jason DeRulo again! 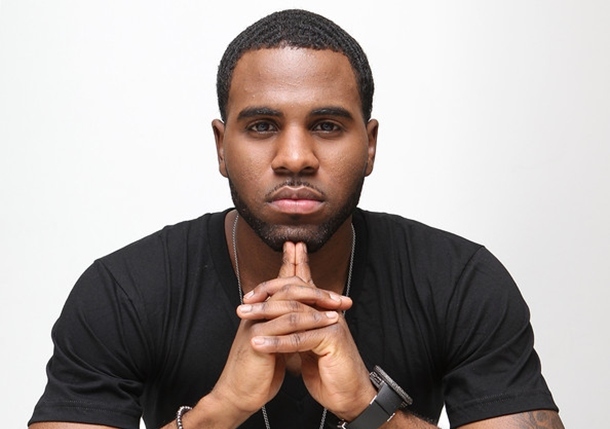 Jason DeRulo co-wrote Loving You Is Easy for Union J! The band’s second album is being planned for release in latter part of 2014. JJ, Caterina and Princeton Head Off To Arizona! The happy couple and their son Princeton headed off to Arizona on their holidays! 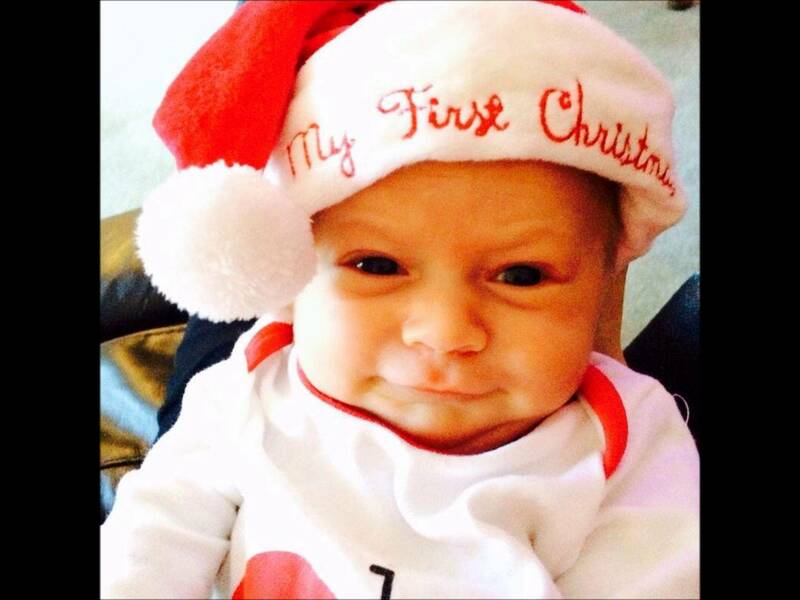 Yesterday I tweeted about Jaymi, Olly and George’s holiday and today it is the turn of JJ, Caterina and Princeton! JJ, Caterina and Princeton headed off to Arizona in America. I don’t know if this is true or not but it was reported that they hadn’t organised a travel VISA for their Princeton. Onlookers are rumoured to have said the family were an hour at the desk trying to get the issue sorted and thankfully it was all sorted out before their flight. I’m not saying anything because I am the most disorganised person you could meet. My mum says that I would forget my head if it wasn’t on me and she’s probably right! Let’s just say Princeton is definitely not the loudest baby on this flight today,’ JJ tweeted on Monday.